Policies, rules and procedure in every business deter superior service. While this is important, one needs to focus more on the customer than on procedures to achieve satisfaction. Peter had an IT problem at work. Given the urgency of the situation he approached their IT consultants directly with his problem. The consultant was prompt in finding a solution but instead of replying to Peter, who had queried, followed protocol and reported the solution to the concerned personnel who forgot to inform Peter. It took a week’s follow up for Peter to learn that the consultant had reported the solution the very next day. While procedures have to be followed, the consultant could have informed Peter that his problem had been solved and the solution reported to his office. It was also basic communication courtesy to reply to Peter who queried. Peter would have checked in the office and got along with his work. Slipshod communication and following procedures to the tee jeopardized a whole lot of activities leading to dissatisfaction. Customer satisfaction often is a result of situational or circumstantial occurrences. Products can lead to dissatisfaction but good R & D can take care of it. The customer also, aware of his purchase does not walk out with something he is not satisfied with. Hence in comparison, dissatisfaction is caused more by situation or circumstances than the product itself. Customer satisfaction is basically taking care of these situations and converting it to a pleasant experience. It is using rationale while handling them. Something that cannot be taught in trainings. Does it make sense to upset 20 customers waiting in queue in a refunds desk just because the customer being attended to is totally disorganized with her refund items and bills, and the agent so service conscious that, he wants to ensure total satisfaction to the customer in front of him before attending to the next. Was he caught between the devil and the deep blue sea? Not really. - He could better serve all his customers by requesting the lady to step aside and organize her receipts while he assisted the customers waiting behind her. - He could call for help to clear the piling queue whilst assisting the lady with her refund. One could have a lot of experience and product knowledge. Training courses help to better customer relationships. Procedures have been derived to handle complaints. Studying human behavior and tendencies have thrown light in handling techniques. Understanding customers and having the right attitude definitely takes you closer to satisfaction. But one also needs to think on his feet. Use rationale while dealing with customers. Gauge a situation and act so as to minimize dissatisfaction. Don’t irritate an irate customer. Salesman Smith learns that his customer due to urgency has directly credited his company’s account for an order. Being in the vicinity of the bank and anxious about the transaction, he meets the bank’s customer relationship manager to confirm the deposit. The relationship manager looks at his computer for a while before replying that he could not access the company’s account. He was obviously following procedures in not divulging any information but he could have confirmed with a simple Yes or No about the deposit in question or excused himself, called from back office and confirmed with the company’s finance department and informed Smith. While Smith thought it was faster to check with the bank and book the order, the relationship manager followed procedures to slow down his customer’s sales process. 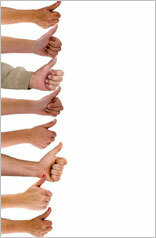 Procedures help to perform better, but using rationale as per need of the hour keeps customers satisfied.